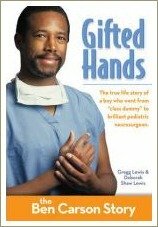 Gifted Hands is a fascinating book about the life of paediatric neurosurgeon Dr Ben Carson who grew up in the ghettos of Detroit. The book tells the story of how young Ben Carson's life changed forever the day he embraced reading, after his strong-willed mother insisted her sons turn the television off and read instead. Gifted Hands is a brilliant, easy-to-read book and a fascinating story on its own merits. 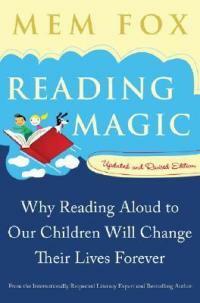 It's also the best advertisement I know for the power and importance of reading in the lives of our kids. First published in 1973, it has now sold over two million copies. 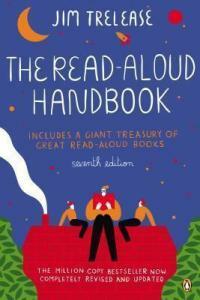 In 2009 a new, shorter version for younger readers was released which is fantastic for kids of all ages. If you're in any doubt about whether reading matters today or whether you should bother encouraging your kids to read, this book will inspire you. If you think your child is unlikely to do well at school because you didn't do well or because you left school early, I recommend reading this book. If you wonder whether you as a parent can help your child do better at school, this book will show you that you can. 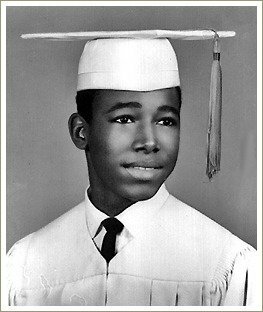 In Gifted Hands, Ben Carson tells of his childhood growing up in a single-parent home with his mother and brother. The family was very poor and Ben was doing badly at school both of which, not surprisingly, led to low self-esteem and a violent temper. Poverty, a poor self-image, no dad at home, a hot temper and an uneducated mother are all things we now recognise as risk factors which more often than not doom a child to a lifetime of poverty, welfare and possibly violence and crime. But Ben Carson had a mother who was determined that her sons would succeed in life and the first part of Gifted Hands is as much about Sonya Carson as it is about Ben himself. I found Sonya's story incredible. Born in Tennessee, she was one of 24 children and married at the age of only thirteen. Sonya left school after third grade and was barely literate when her sons were growing up. When her sons were small, Sonya discovered that her husband was a bigamist and had another family living not far away. The marriage ended soon after this discovery and Sonya went on to work two - sometimes three - jobs to provide for her sons. Because she had very little education and few skills, Sonya often did housework for well-off families. This gave her an insight into what went on in the homes of people who had successful careers and good incomes. She was very interested in what they did that people in her neighbourhood did not do and noticed that the better-off families had books around and read a lot. So Sonya insisted her boys turn the television off and read. More importantly, she planned how to make this happen and then took steps to make sure the boys followed the plan she had made. Ben and his older brother, Curtis, hated this at first but their mother was determined and she didn't give them a choice. Gradually both boys began to enjoy reading and their school results began to improve. The second time I read Gifted Hands I tried to work out the lessons Ben's mother taught her sons, by her words and by her example. Of course, she taught them that education is important and that reading is a key factor in doing well at school. But she also taught them other lessons, about hard work in particular. "And, so she worked very hard. Sometimes we didn't see her for several days at a time, because she would go to work at five in the morning and get back after 11pm, going from one job to the next. But one thing that she provided us was a tremendous example of what hard work is like, and she was also extremely thrifty. She would go to the Goodwill, she'd get a shirt that had a hole and put a patch on it and put another one on the other side to make it look symmetrical, and she sewed her own clothes. She would take us out in the country on a Sunday and knock on a farmer's door and say, 'Can we pick four bushels of corn, three for you and one for us?' and they were always glad at that deal. And she'd come home and she'd can the stuff, so that we would have food." There's a lot more to the story of course and Ben experienced many set-backs as he grew up, including exposure to racism. But he persevered, attended Yale and became Head of Neurosurgery at Johns Hopkins School of Medicine at the incredibly young age of 33. Ben has now been Director of Pediatric Neurosurgery at the Johns Hopkins Children’s Center for more than 25 years. He married his wife, Candy, in 1975 after they met at Yale and they have three sons. 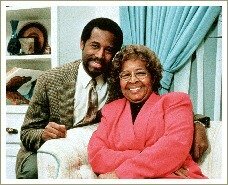 Dr Carson's mother, Sonya, lives with the family. 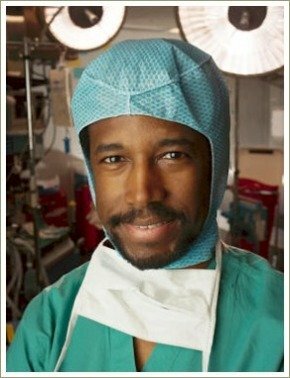 To read more about Ben Carson's story, go here.